Celebrity interviews can be a perilous business. Usually you’re granted an hour at best, sometimes only 15 minutes over the phone. During this time, said celebrity is supposed to give himself over to a stranger he likely will never see again, revealing details about his professional life, with a few personal confessions thrown in for good measure. It’s an absurd proposition. Some actors, overly primed by their handlers are fearful to reveal anything of any import, stick to platitudes about how lovely it was to work with so and so or mumble into their boots, how they’d rather not say anything at all. Others, prone to talking about themselves, become positively maudlin when you turn the tape recorder off and go your own way. 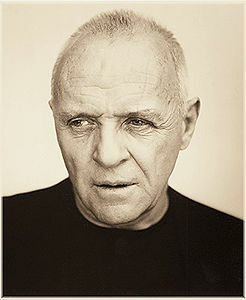 Sir Anthony Hopkins is a different sort of fish altogether. He understands the impossible medium and quite subtly shapes it, until before you know it, you’re playing a whole new game.